THOUSANDS of lorries will snarl up traffic heading to France for years to come under a no-deal Brexit, the government has been told. The warning comes from councils in Kent who claim up to 10,000 lorries a day could be parked along 13 miles of the M20 causing ‘massive disruption to both strategic and local traffic’. Dover district council has demanded ‘urgent clarity’, while Kent county council has warned a permanent solution will not be in place until ‘2023 at the earliest’. The government has launched ‘Operation Brock’ — an update on the emergency Operation Stack, which saw half the road taken up by a 30-mile-long lorry park when striking ferry workers caused delays in 2015. In a leaked impact report, Dover council warned: ‘It is likely that a permanent solution will not be in place for many years if enacted through current planning processes and procedures. The Road Haulage Association said the lack of planning risked dwarfing previous delays. ‘If it’s not sorted we’re going to see tailbacks that will make 2015 look like waiting at traffic lights,’ said spokeswoman Kate Gibbs. ‘The amount of foodstuffs going through the Channel ports is immense. 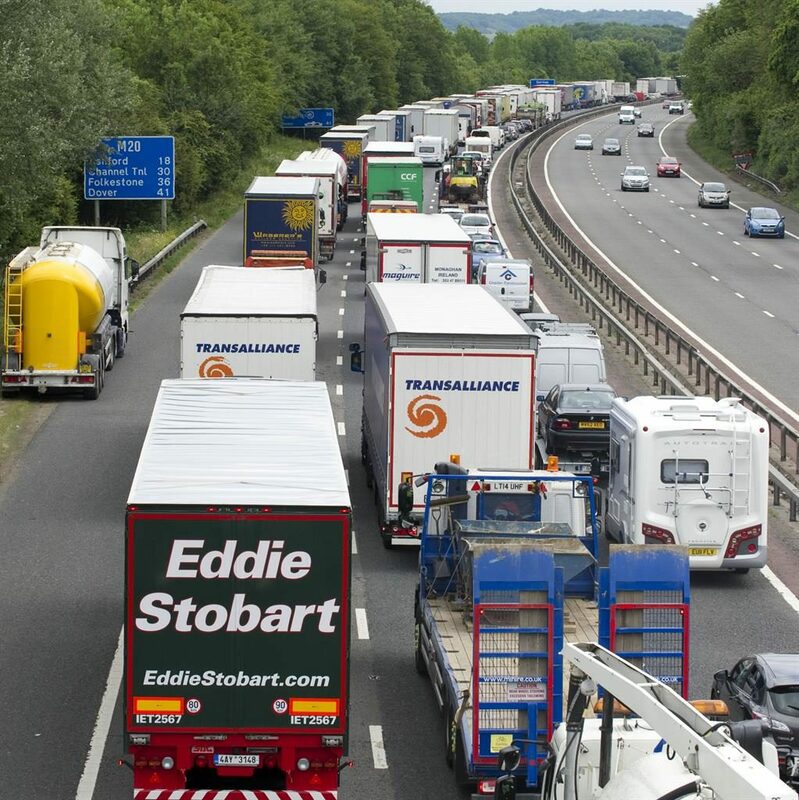 Operation Brock could leave thousands of holidaymakers negotiating miles of contraflows on the M20’s northbound carriageway as they travel south to the Channel port. Charlie Elphicke, Dover’s Conservative MP, criticised the government for dropping plans for purpose-built lorry parks. But Brexit campaign group Get Britain Out dismissed the claims as ‘Project Fear’, while noting EU hauliers would suffer as much as their British counterparts from any delays. Director Jayne Adye said: ‘Unfortunately for Remain campaigners, there will not be gridlock under a No Deal Brexit. There are numerous multilateral agreements which deal with cross-border trade. The government said Project Brock would have taken place regardless of Brexit and it was confident of reaching a deal with the EU.